​The love of music has been passed down from generation to generation since the founding of the church. This musical heritage no doubt has it’s origins in Germany and Russia where the founding families had ancestral ties. 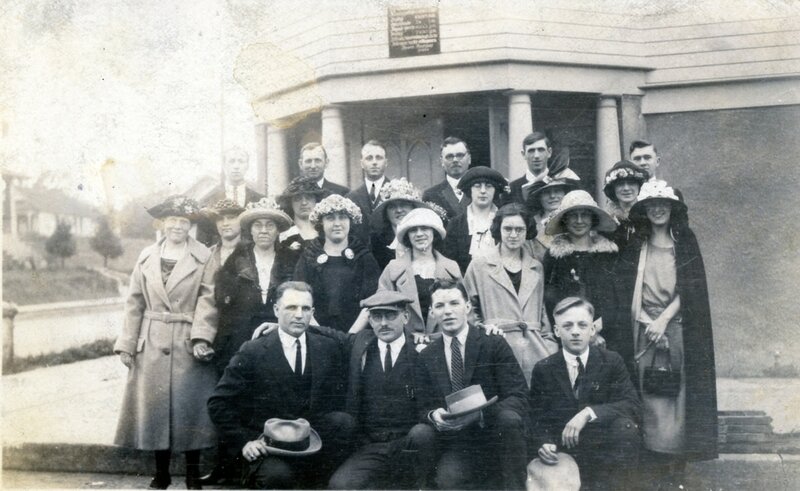 The Second German Church Choir in 1922. Rev. Hagelganz is fourth from the left in the back row. Courtesy of Joanne Krieger. 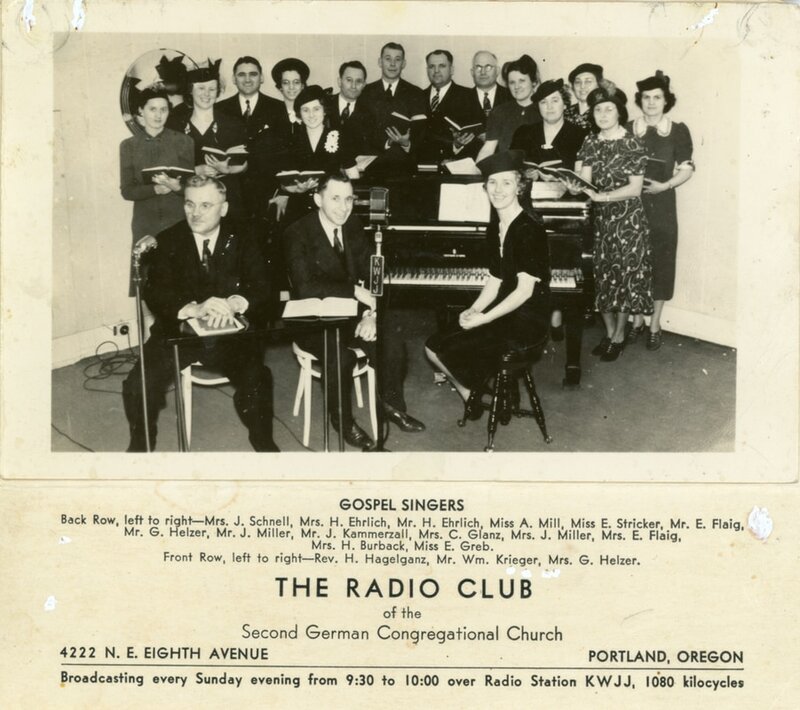 ​The Radio Club of the Second German Congregational Church was very popular in Portland and the surrounding area. The half hour program was broadcasted every Sunday evening from 9:30 to 10:00. Vocal music by choir members was followed by a challenging message by Rev. Hagelganz. After the death of Rev. Hagelganz, the program continued for several years with Rev. Gyorog, who also presented a challenging message in the German language. During this time, instrumental duets, quartets and solos were added to the vocal music. Listen to a clip from one of the programs. In 1968 the congregation greatly enjoyed a performance by the Old Timers Choir. This performance was recorded and made available on LP vinyl records.